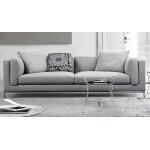 The glossy finish and sturdy construction make it a worthy addition in your living space. 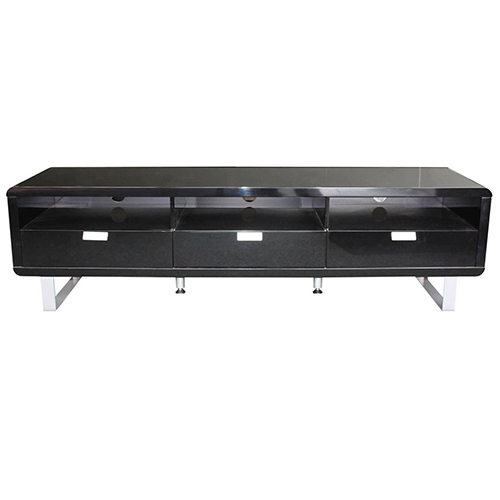 The top of the TV cabinet is polished to perfection with a shiny Black finish for a premium feel. 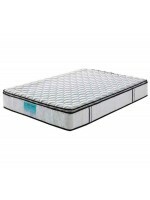 It is made from premium board which ensures sturdy construction. 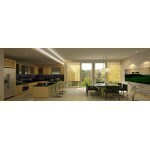 It provides adequate space and the top is expansive to accommodate almost any television unit. 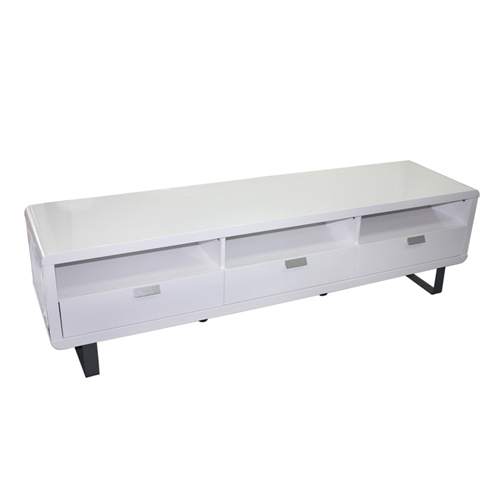 This TV Cabinet will make a stylish living room or bedroom centrepiece, while effortlessly blending within any style of home interior. 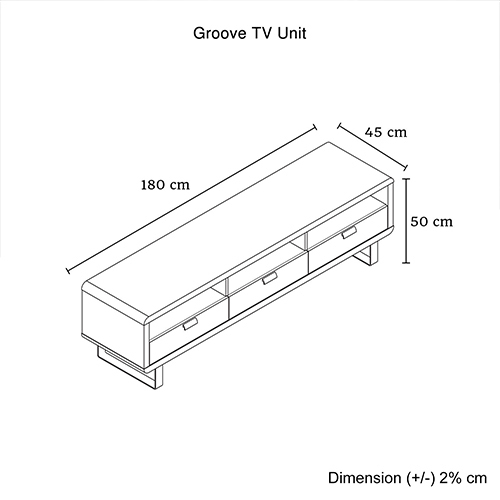 The entertainment unit comes with storage tiers for stowing your accessories along with your entertainment consoles. There are three drawers and on top of it there are three separate storage units. 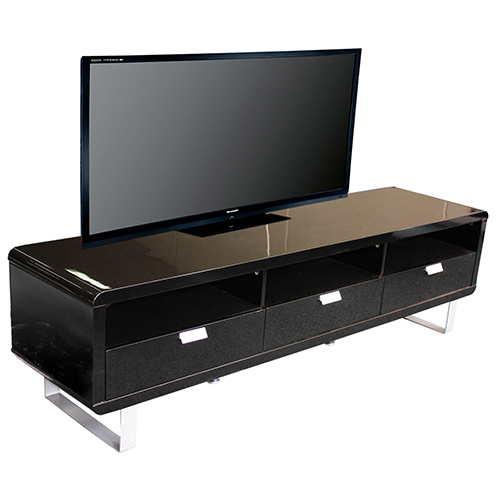 Spacious yet discreet design accommodates both LCD and Plasma screens and most AV equipment, including set-top box, DVD/Blu-ray player, games consoles, DVDs, CDs etc. You can also use the shelves as display corners to enhance the look of your living room. Stainless steel handles are attached to the drawers which let you pull the drawers easily. 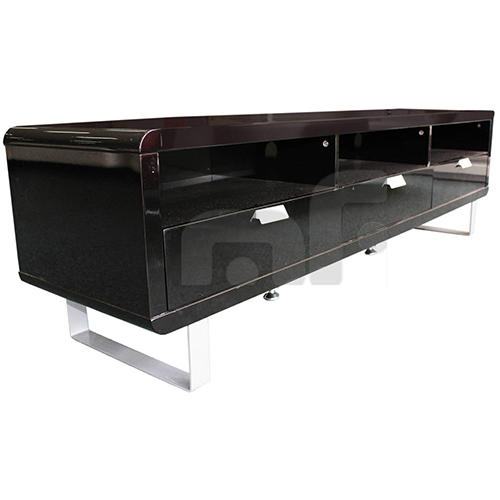 Sleek shiny handles will add to the classy ambience of your living room. 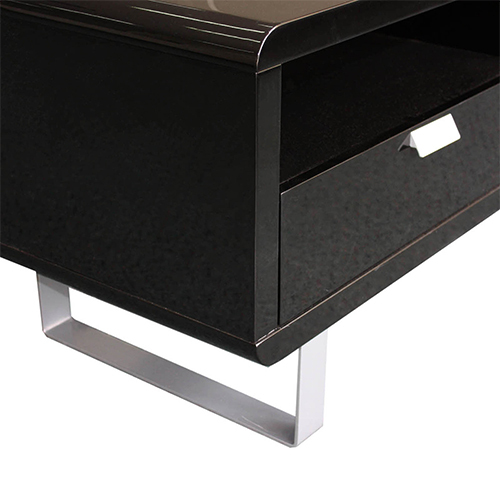 We use metal slide runner on the drawers so that you can pull the drawers without any hindrance. 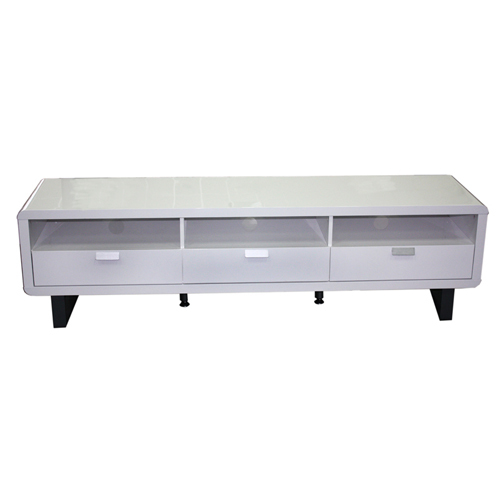 This trendy TV cabinet has two separate metal feetwhich are rectangle in shape. Theseare glossy, sturdy and durable which ensure the strength of the TVC besides delivering a classy look.